Farewell, December. Farewell, 2014. You will kind of be missed. The new year is upon us, and I am not ready. NOT AT ALL. I CELEBRATED MY TWO YEAR BLOGOVERSARYYYYYYY ON THE 19th! YEEEEEE. I launched the YA Book Cover Choice Awards because I wanted awards that are book cover-focused! And who is better to host it? Me. (Because I’m such a nerd for book covers!) I wished I thought of it earlier, because I know the awards will run into the New Year. (But 2015 will definitely be different! ;) ) The voting for the semi-finals is open. So vote for the covers you want to make it to the final round! I’m so excited because so many new projects and resolutions. Eeeeek. I have an official launch date for my special project—February 1st! I will talk more about it later, but it’s coming together! 2014 YA Book Cover Choice Awards Semi-Finals Voting Begins! Before I talk about how you can vote, I shall talk about what the YA Book Cover Choice Awards is. Very simple. I love book covers, especially YA ones, and was sadden that there weren’t any posts celebrating the awesomeness of them. The YA Book Cover Choice Awards (aka YABCCAwards) aim to honor all the wonderful (and not-so wonderful) book covers that were published in the past year. It will be nominated and voted by readers (à la Goodreads Choice Awards and the *Book Shimmy* Awards). We’ve finally reached the voting process! YEEEEEEEE. Sorry for the belatedness of this post. I had meant to get it up right after Christmas, but I got sidetracked because y’know, family, the holiday spirit, and all. And then having to narrow all the choices down to ten and putting together the images and figuring out html coding, eeeeeeeeeek. But voila! Better late than never, they say! These covers were all reader nominated. Vote for the cover you believe should win each category because it’s superior and prettier than the others. You’re only allowed to vote for up to THREE covers. Voting starts Monday, December 29, 2014 and ends Saturday, January 2, 2015 11:59 PM PST. Big Special Thanks To These Awesome People! This book sounded cute in theory, but what I got was a lot of frustration that continued to build over time. I swear this book was testing my patience. To All the Boys I’ve Loved Before follows a sheltered Lara Jean whose life changes when her sister goes away to university in Scotland and her love letters to every boy she’d ever liked are mysteriously mailed out. With her life suddenly out of control, she has to navigate the world by trusting her heart with the help of Peter Kavinsky, one of the boys who received her letter. And along the way, she learns more about what it’s like growing up and being in a relationship. Guys, I don’t love this book. It gave me such a headache because oh my god, Lara Jean’s voice was sooo frustrating, and all the guys playing tug and war with Lara Jean grated on my nerves because she’s not a toy. She can decide for herself what she wants! HOLY, MOTHER COVER! | Snow Theme! YOU’RE JUST MY TYPE | Holiday Printables Galore! I interrupt the regular scheduled You’re Just My Type to bring you glorious holiday printables! 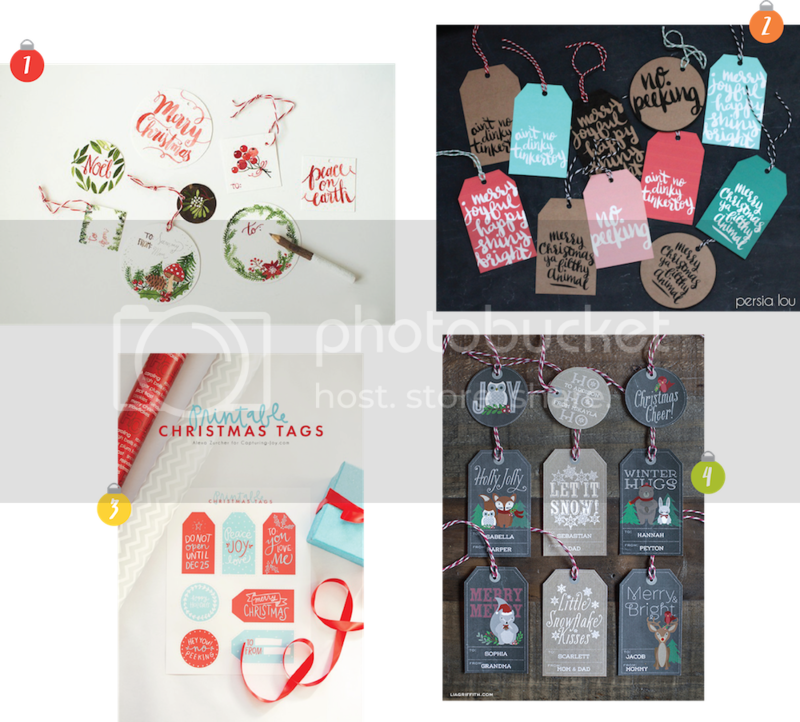 Do you have gifts that need tags? Either with the person’s name or a “Merry Christmas” or a “no peeking”? Well, I’ve rounded up beautiful lettering ones that are completely free to use! Just download the pdfs, and off to the printers you go! You don’t have to buy anything except the paper. Life saver!